Fact: The Korean beauty world is one step ahead when it comes to the latest and greatest in skincare and makeup. In fact, many believe that South Korea is 12 years ahead of the U.S. market when it comes to beauty innovations. Korean women are the queens of skincare, if you didn’t know, and invest lots of time into their radiant skin. If you want to show off some serious #skingoals, you’ve got to get your hands on some K-beauty. You certainly can find good Korean beauty products in the U.S., but there’s something special about getting them delivered right to your doorstep straight from Korea. If you haven’t tried out a Korean subscription box yet, you’ve been missing out. They come stocked with everything from fun masks, rich moisturizers, pretty lipsticks, and more. Want the secret to glowing skin? It’s coming right up in these boxes. Keep scrolling for the lowdown on the coolest K-beauty subscription boxes you’re going to want to try now. The goods: The brand’s website states, “A common saying in Korean Beauty is “less makeup, more skincare.” There you have it, you won’t need to load on foundation after giving these products a whirl. Forget samples, the Bomibox treats its customers to eight full-size bottles of the country’s newest skincare goodies (including tools) tailored to all skin types. The goods: One of the trickiest parts about Korean skincare is reading the labels that are usually not in English. Mishibox makes understanding directions and ingredients clear by translating them on their packaging and website. If you’re new to K-beauty and don’t want to splurge just yet, this budget-friendly option allows you to test five to six deluxe-size samples of haircare, skincare, and makeup. The goods: Delivered straight from Seoul, this quality box gifts you five to seven full-size skincare and makeup products every month valued up to $60. Customers rave about the amazing quality of the products for such a good steal. The goods: Everyone’s obsessed with Korean sheet masks, so it’s only right that there’s a subscription box dedicated solely to masks. Masking is an essential part of the elaborate Korean skincare routine. There must be some type of secret ingredients hidden in those masks, and you can treat yourself to four to seven of them every month for less than $20. The goods: Jini Beauty makes testing specialized skincare products even more exciting because you get to choose products formulated for four skin types: dry/mature, normal/combination, oily/acne, or sensitive/troubled. You get way more than a month’s supply, too. Each box comes with six to eight full-size bottles, deluxe samples, and two sheet masks. The goods: You can get six full-size products delivered to your doorstep on the regular in the cutest bag (not box) ever brought to you by Beauteque Monthly. Even cuter? Each month has a theme. Everything from the latest K-beauty skincare, makeup, and haircare launches are packed into one cutesy bag just for you. The goods: Pink Seoul gives you skincare options galore. 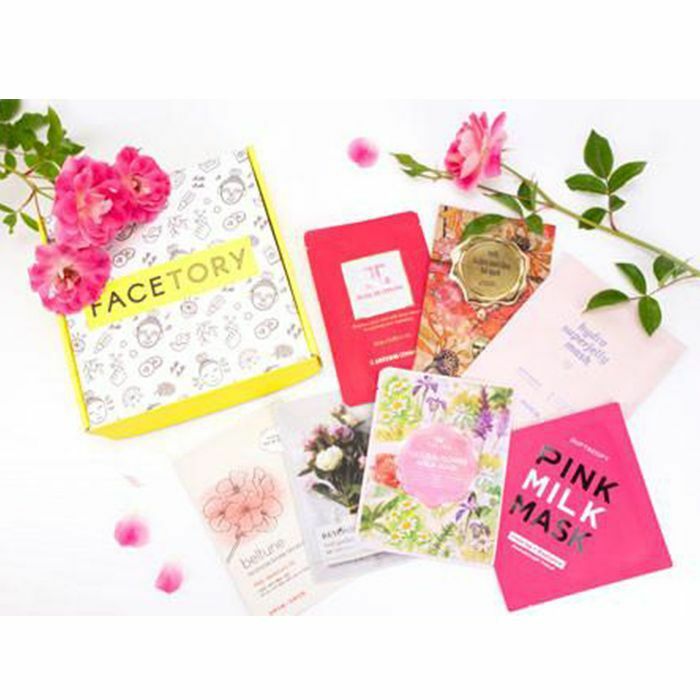 You can choose from three monthly subscription boxes: one customized box with four regular-size products, one “Pink Plus” box that’s personalized for mature skin, and one mask box. Basically the best of K-beauty is at your fingertips, and it’s up to you to pick your poison. The goods: Miss Tutii also gives its customers a variety of products to play with. The company offers a Tutiibox, which comes with six to seven full-size products each month. If you want to start small, you can opt for a Tutiibag, which is a smaller version of the box offering samples sizes of skincare and makeup products. And the mask lovers can pamper themselves with the TutiiMask box. Next, keep up your Korean skincare craze by going inside of one models daily skincare routine.